1- So it begins.I write of the mad scramble for cover of the silent sports journalists, the creepy academics and the cringing consultants who said little against FIFA or CONCACAF over the last three decades. My least favourite are that gang of academics who gathered around the Sorbonne/ICSS to “research match-fixing”. Almost incredibly they linked themselves with both FIFA (via Interpol) and the Qatari sports establishment. It is difficult to find organizations with less credibility in the public’s eyes then these two.Now, of course, the academics and consultants are frantically trying to distance themselves from FIFA; or downplay the money they took; or say that FIFA is deeply corrupt except when it comes to match-fixing. The most implicated group is Interpol.They are, now, like the rest of this discredited crowd, trying to distance themselves from FIFA by issuing international arrest warrants for FIFA executives. No word from Interpol as to why they were happy to accept $20 million from FIFA. No word on why Interpol chose to place their FIFA sponsored match-fixing education centre in Singapore – the home of many of the fixers. No word on why – only three-weeks ago – Interpol and FIFA were hosting an “Integrity in Sport” workshop in Canada – where the keynote speaker was one Jeffrey Webb, the now arrested president of CONCACAF. 2- He is either incredibly stupid or deeply corrupt. I write of Sepp Blatter. There is no other option. Here are the facts. Blatter was FIFA’s president for seventeen-years. He worked as a senior executive for FIFA for forty years. Now we know that the FBI thinks that many of FIFA’s senior executives, vice-presidents and Confederation chairmen were deeply corrupt. They were not even corrupt in the same way. Rather from reading the FBI indictment they corrupted almost anything they touched – ticket scams, television and marketing rights frauds, rigged Presidential elections and bribes for hosting rights of major tournaments. So for the CEO of FIFA not to know so much systemic corruption was going on means Blatter was so stupid he could not see what the FBI, Chuck Blazer and Jack Warner are now saying was going on or somehow, some way he was involved. Having met Blatter I am not sure which it is – corrupt or stupid – but no other option exists. 3- Speaking of Jack Warner – his long, rambling speech for 30 minutes on Trinidad and Tobago television can be translated into one sentence, “Give me a plea bargain.” This is not a man who wants to go to jail. He claims he has the documents. He claims he has the evidence to put others behind bars. He wants to talk and bring others down. 4- Could the Canadian Soccer Association please not ruin everything they touch? It gets tiring to point out what a bunch of useless clowns they are…I do not use these words lightly. It is an accurate description. The latest example – after their appalling record with the Canadian men’s national team, the screw up with the artificial turf, their silence on CONCACAF misdemeanours for the last two decades, bringing in Jeffrey Webb/FIFA/Interpol to talk about “integrity” – was their attempt to muzzle a press conference in Vancouver yesterday.In case you missed it, the CSA officials tried to stop any questions about FIFA corruption from the international press corps. It is difficult to think of a more useless exercise since Pharaoh tried to stop the Red Sea. This week, Sepp Blatter resigned. The whole world is watching the unraveling of an alleged, quasi-criminal organization with various executives pleading to bribes and kickbacks. The press conference was the first official FIFA event since then. Of course, the media was going to ask questions about corruption. Not only did the CSA officials try to stop questions (at one point they even ‘shushed’ a CBC reporter for asking a question about corruption). They grew irritated and testy when the questions kept coming. Lesson no. 1 in handling the media: growing angry with a pack of journalists is the equivalent of bleeding in a shark tank. There is no way it is going to end well.Of course, it does not help that the President of the CSA – Victor Montagliani – once described the now-arrested President of CONCACAF – Jeffrey Webb – as a major influence in his life. I am not suggesting that Montagliani is corrupt, just a hapless twerp. 5- In the football world, David Yallop is a largely forgotten man. He should not be. 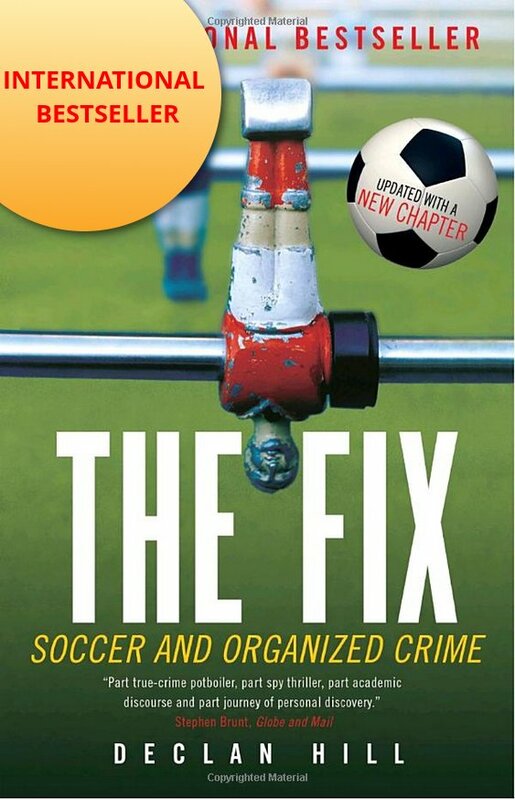 In 1999, he wrote the superb ‘How They Stole the Game’ – an investigation into corruption inside FIFA. The book was published in many languages, but never in the lucrative British Commonwealth market.If you can get your hands on a copy – it is well worth it. 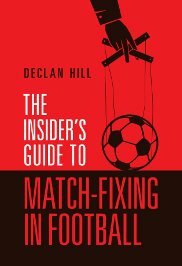 Just the section where Yallop describes the world’s sports media taking ‘freebies’ – sports merchandise and souvenirs – in a mad scramble at one of the FIFA conference’s is an extraordinary insight into why the FIFA executives were largely unchallenged by most of the world’s sports journalists for so long. 6- To end the week on a good note.If you have not followed the Scottish team Heart of Midlothian (Hearts) then you have missed the Hollywood football story of the year. Facing all kinds of sanctions over the last few years caused largely by a dodgy owner who essentially did a runner, Hearts were in the Scottish Championship (second division). Young players. Constrained finances. Discouraged fans. Most people wrote them off at the beginning of the season. Boy! Did Hearts prove their critics wrong. This group of young players stormed their way through the season, losing only three games and winning the division by twenty-one points.The symbolism comes because it is exactly one-hundred years on from the most successful, controversial and heart-breaking time in Hearts history. In 1914-15, Hearts was leading the Scottish first division. Then their entire team signed up to fight in the First World War. The team ended up losing the championship narrowly to Celtic. Seven of the players were killed in the trenches (including three on the first day of the Somme).There are few Hearts fans anywhere in the world who do not think the spirit of those men is in some way helping the team on to their astonishing victory this year. It is a great football story in a time of disheartening news from FIFA. Declan: lovely tribute to Hearts. Ian Rankin and John Rebus are smiling.